I attended a night of worship and it made me think about the amount of songs in a worship set list. The band did about 9 songs that night and I found it to be a bit tiring by the end – and I wasn’t even part of the worship team. If I felt this way as a worship leader, I wonder how non-musicians feel about a longer set list. In the Worship Leaders + Facebook group, worship leaders often post their set list for the upcoming Sunday. The number of songs range from 3 to 7. Although I don’t believe there is a ‘perfect’ amount of songs for a worship set list, I have been using 3 for the past several years and it works really well. There was a time when I would always plan a 4-5 song set list. My reasoning was because other worship leaders were doing the same. Then, my worship team absorbed a slew of new members all at once and I noticed they were struggling to pull together the songs every week. They were fighting their way through the set and didn’t seem to be enjoying it at all. A shorter set list helps the worship team relax. It is important that the worship team enjoy what they are doing, whether they are paid or not. Otherwise, the team culture is a nightmare and the congregation can sense it. Playing 4+ songs each week may not be a big deal for your veteran team member (because they have already played the songs over and over), but what about the new guy? When you bring on a new worship team member, there is a good chance that every song on the set list will be brand new to them every week, at least for a few months. When working with volunteers, they probably also have a full-time job and a family to take care of. Expecting them to learn 4+ songs is stressful. In short, a stressed out team cannot effectively lead worship. So, it is our job as worship leaders to do what we can not only to eliminate our own stress, but the team’s as well. A shorter set list leaves the congregation hungry for more. As a worship leader, it is easy to think that worship is the really the only thing going on each Sunday. The message afterwards is just something that has to be done, right? Well, I am not afraid to admit that I used to think that way. My focus was on worship and I would not really even listen to the pastor while he was preaching. I was too busy thinking about what had just happened or what we were going to do different next week. Then, I went to Rhema Bible Training College. I found out that the Word of God is the most important thing not only on Sunday mornings, but in our every day life. Attending Bible school placed a hunger in me for the Word and brought everything into the right perspective. While we worship, we should be proclaiming the Word of God and also preparing for the Word to go forth from the pastor without hindrance. After 3 songs, the congregation is still hungry for more. This keeps their heart open to receive the Word from your pastor. When you choose a longer set list, it can wear the congregation out. Then, when the pastor takes the stage, all they can think about is how tired they are and what’s for lunch. A shorter set list allows worship to ‘breathe’. Worship leaders like to plan out every moment. This may be the reason we plan a longer set list – to completely fill the time that has been allotted for worship in the service. After all, there is no telling what might happen if we leave some blank space! Don’t get me wrong – planning is a good thing. Considering the Holy Spirit knows exactly what is going to happen at the upcoming service, I believe He is with us as we plan. However, the Holy Spirit also likes to throw a surprise here and there. This is the beauty of serving God. His love is so vast! And, just like spontaneity is enjoyable in dating and marriage, it is also enjoyable as we serve God (if we let it). So, leave some space in your worship time to let the Holy Spirit move. Simply keep playing through a simple chord sequence, shut your eyes and focus on Him. Don’t think about the mistake you just made or the next step in the service. Take a moment to breathe and let the Holy Spirit surprise you. Great article! I made the switch from 4 songs to 3 songs a couple of years ago… it made a huge difference for all the reasons you mentioned! Every once in a while I will add another short song, or add a ‘chorus only’ tune, but we stick to three most of the time. Three songs also forces me to be very intentional about song choice and song rotation, which I think it a great thing for our team and our church. We worship for 16-18 minutes in our service and that’s a great time frame for our church. Finally, 3 songs allows us to add an occasional special song without taking up too much time in the service – but only when we are very prepared for that 4th. Great article – first one I’ve read about going to 3. Thanks! Great article and so very true. We have a pastor who could add a song on any given Sunday, so important to leave room for his direction from the Holy Spirit. We also need to remember how long we actually spend in private worship….I definitely don’t usually go for 30+ minutes unless I’m on a long car ride. 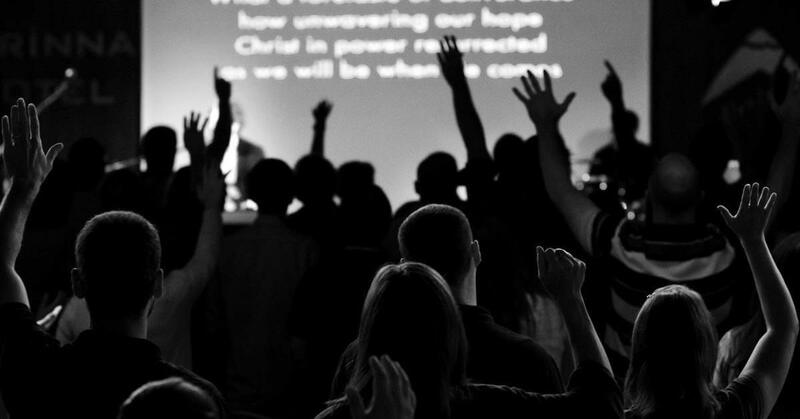 I believe worship is mo different than listening to a sermon….we can only retain so much! Thanks for sharing your perspective, Sam. Great thoughts, and you are right – I definitely did have a problem myself with relaxing and not letting the Holy Spirit surprise me. Although I still have to fight that off at times, I have definitely grown over the years in that area. I understand where you are coming from. I have a slightly different perspective. I attended a church once that intentionally used only three songs, and did not have any sort of introductory time such as announcements – the announcements typically were at the end. As a person who tends to be a Type A, it takes me a while to stop spinning and start focusing on the Lord. I found that it wasn’t until the 3rd song that I could let go and focus. And then it was over – bang! I wanted another song — finally, I joined that church’s worship team and we moved to a location where we didn’t have to be out at a set time (it was a plant that acquired full-time space). Then they added a song (after I shared my experience/perspective with the leadership), and it made the difference, members of the congregation liked that they could continue to worship with their voices at the same time they were worshiping through giving. Thanks for your perspective, Heather. It is great to hear about what is working at other churches. Great article. We moved to a smaller set this past year, not that we did tons of songs each week, but we wanted to be more conscious of making the worship work with the Word. Thanks for the post ?? This was a great article! We recently went from a 5 song set to a 4 song set. We have often have new people come to our church who are from traditional denominations and they are not used to standing for worship for 30 minutes. We also have some people who could worship for hours (me included!). We’ve found that 4 songs is sufficient for both groups on Sunday and we also have a worship night once a month to allow for a longer time of worship for those who like that. I really appreciate your articles. I’m new at this position of worship leader although I’ve been a part of the team for years. This is very helpful. Good article- I enjoy your perspectives. I think the focal point of the service/ministry that we are asked to lead in directs much of how we plan. I am the music minister in 2 ministries: one that is a teaching ministry (non Sunday) and the other my home church. The teaching ministry’s focus is -yup, the Word. In consultation with the Primary Minister we have developed a 20-30 minute window for music. This works best for this setting. My home church’s focus has two points – first the Presence of God and then prophetic ministry/teaching. My instructions here are 45-60 minutes of musical worship – and be ready to play for an additional hour as needed. so # of songs- 4-5 songs for the 20-30 minute sets, 7-10 songs for the hour long sets (with extras in the wings). Being Lutheran, we try to push the traditional service envelope but try to honor our history and comfort level of our church culture. We do an average of 7 songs throughout the service on communion Sundays but only 4 on others. I have to say that I am very thrilled with the number of songs that the congregation really sings out on! Thanks for the time you spend with this group… I love to hear what other groups are doing! You are all such a blessing! The songs we sing range between 4-5 minutes long. We generally take a few minutes after the last song to let it flow and let the Holy Spirit do His thing. Do you do a 4th song at the end of the service after the message, or do you only do 3 songs at the beginning of the service and that’s it? Hey Ben – we do not do a fourth song at the end, only three songs at the beginning. We actually switched to doing songs AFTER the message, as a way to respond to the Word. It was strange at first, but I am liking it more and more. I still do 4 or 5 songs. Thanks for the comment, Sarah. We, too, do songs after the message sometimes and it works well! What are your thoughts on a few up front and then some songs after the preaching as a time if response? We usually do 3/3 or close to it. I’d love to hear thoughts. Hey Mikael – This is something I have not done, but if it works for your church, go for it!